2.1 1. What Are the Benefits of Purchasing a Gas Dryer? 2.2 2. Are There Any Downsides to a Gas Dryer? 2.3 3. Should I Consider a Gas Dryer Even If I Don't Currently Have a Gas Line? 2.4 4. What Should I Look for When Shopping for a Gas Dryer? 2.5 5. How Many Extra Features Do I Need? If you're shopping for a new dryer, one of the first decisions you'll have to make is whether to purchase a gas or an electric model. If you already have a gas line installed, and if you can afford the slightly higher price tags that the best gas dryers carry, than a gas model may be the way to go. Gas dryers come with a dizzying array of amenities, from preprogrammed drying cycles to wrinkle-fighting features and remote control technology. Our guide to the best gas dryers can help you sort through all the options and purchase the perfect model for your home. 1. What Are the Benefits of Purchasing a Gas Dryer? 2. Are There Any Downsides to a Gas Dryer? 3. Should I Consider a Gas Dryer Even If I Don't Currently Have a Gas Line? 4. What Should I Look for When Shopping for a Gas Dryer? 5. How Many Extra Features Do I Need? Gas dryers usually have a higher up-front cost, but they are less expensive to operate over the long run. Gas dryers also frequently outperform their electric counterparts. They dry laundry more quickly, generate less static cling, and usually last longer. In addition to their higher up-front cost, gas dryers have two installation requirements: a dedicated gas line and a vent to the outdoors. If you don't currently have a gas line, it's probably not worth the effort to have one installed. Installing a new gas line can be expensive. Many of the best gas dryers rely on moisture sensors, which measure the moisture in each load of laundry and adjust drying cycles accordingly. Dryers with moisture sensors usually are more energy efficient, so it's a good idea to seek out a gas dryer with this kind of technology. Steam options, which promise to fight wrinkles, attack odors, and sanitize laundry, are also a popular feature on many of today's best gas dryers. Today's best gas dryers come with numerous special features, but all of the extras sometimes add up to a hefty price tag. As long as your dryer has several pre-programmed drying cycles and at least two or three different temperatures to choose from, your needs should be met. An end-of-cycle signal can also be a useful feature. When evaluating the best gas dryers, we took into consideration price, energy efficiency, and the ability of each machine to effectively dry loads of all sizes. We also looked at each appliance's special features, including those that prevent wrinkles, static cling, and odors. 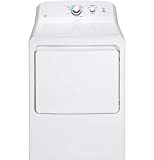 The best gas dryers range in price from $$ to $$$. More expensive models have remote control capabilities, customized drying cycles, and steam features designed to attack wrinkles and odors. This dryer has 7.4 cubic feet of drying capacity and 12 drying cycles. 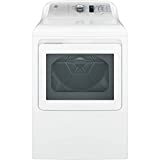 An extended tumble option occasionally tosses laundry for up to 8 hours after the drying cycle is complete, and a Damp Alert signals when clothing is at the right dampness for easy ironing. This dryer comes equipped with a sensor bar that measures moisture levels to prevent over-drying. This dryer comes with a one-year limited warranty. 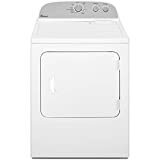 This appliance bundle includes both a large top-loading washing machine and a front-loading dryer. Together, the appliances can handle large loads and bulky items like comforters. The washer has 4 different cycles as well as an Auto Dry that uses steam to tackle stains. A separate Allergen Cycle uses steam to remove allergens. 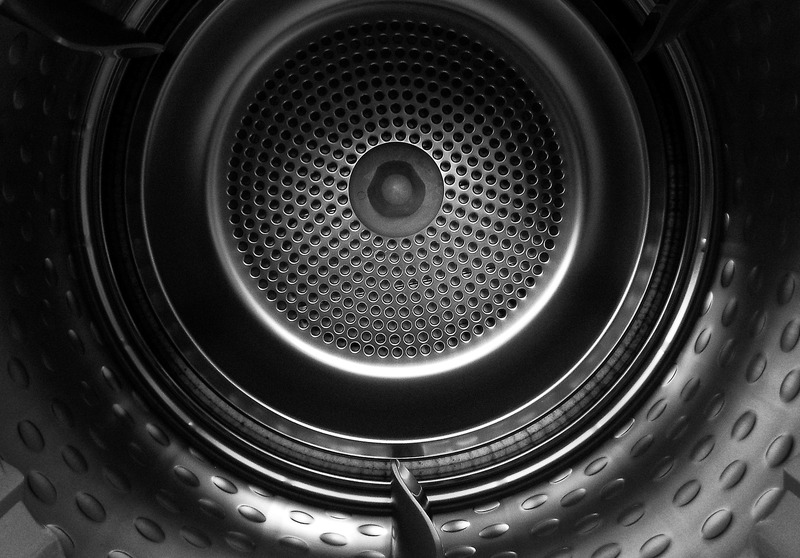 The dryer relies on a sensor to measure moisture levels and adjusts drying times accordingly. Both the washer and dryer come with a 13-month limited warranty. This dryer has 9 cubic feet of drying capacity, which means it's able to accommodate the largest and most rugged loads of laundry. Sensor drying technology means drying times are adjusted according to moisture levels. This dryer has 14 drying cycles as well as steam options that fight odors, ease wrinkles, and sanitize laundry. This dryer comes with a 13-month limited warranty. This dryer has 4 different dryness levels, including an Automatic Dryness Control. With 6.5 cubic feet of capacity, this dryer can handle large loads of laundry. An internal thermostat tracks the temperature and moisture of laundry and adjusts the drying cycle accordingly. A Wrinkle Guard feature tumbles laundry periodically for 40 minutes after the drying cycle is complete. This dryer comes with a one-year warranty. 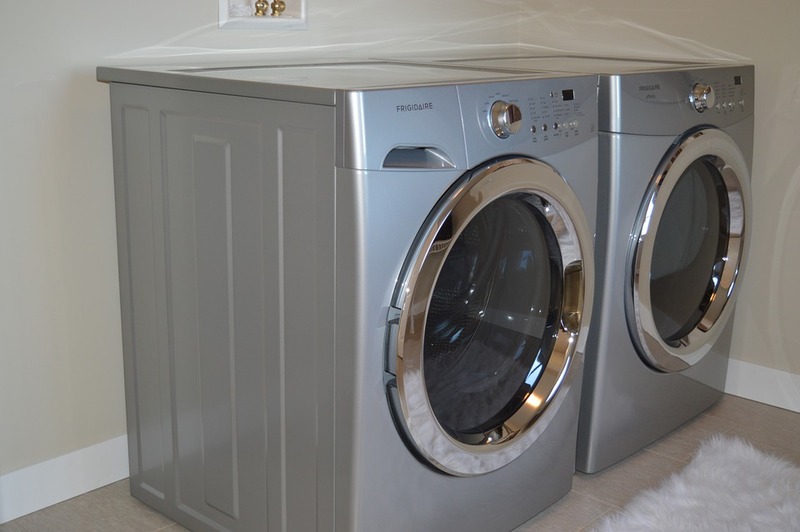 With 7.4 cubic feet of drying capacity, this dryer can easily handle larger loads of laundry. This dryer uses Advanced Moisture Sensing to monitor the temperature and moisture of loads of laundry, adjusting drying cycles accordingly. This appliance's triple-action wash motion cleans even heavily soiled loads of laundry, and a StainBoost option gives stains the extra time and care they need. 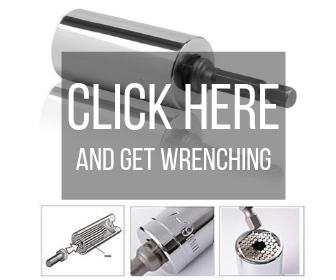 A deep fill option can be used for larger, heavier loads. This top-loading washing machine has electronic controls, 5 temperature settings, and a delayed wash option. This washer comes with a 13-month limited warranty. 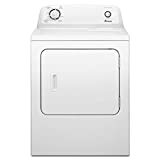 This Whirlpool dryer has a 7.4 cubic foot drying capacity, which means it can handle larger and heavier loads of laundry. With 4 dryness levels and 5 temperatures, this dryer allows users to combine options for optimal fabric care. Additional features include a sanitize cycle, a stainless steel dryer drum, and a lint filter indicator. 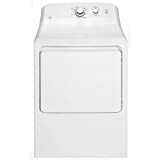 This dryer offers 7.0 cubic feet of drying capacity and 14 drying cycles. Made in Powder Coated Drum. Additional features on this dryer include Wrinkle Shield Option, a steam refresh option that fights odors and wrinkles, and a static-fighting feature. Whirlpool offers a variety of service plans. The Speed Queen ADG3SRGS 27" Gas Dryer is made capacity commercial-grade Steel cabinet,and offers secured lint filter, 3 temperature settings and ADA Compliant in. This dryer has 7.0 cubic feet of drying capacity. 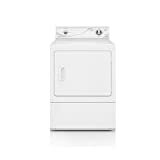 Today's best gas dryers come in all price ranges and with an endless number of features. Our testers especially liked two top-loading Whirlpool dryers: the Whirlpool 7.4 cu. ft Top Load Gas Dryer and the WHIRLPOOL WGD92HEFW 7.4 cu. ft. Gas Dryer with Advanced Moisture Sensing. Both were slightly more expensive models but come with large drying capacities and features that make them worth the higher price tag. The Whirlpool 7.4 cu. ft Top Load Gas Dryer, for example, stood out for its ability to allow users to customize their fabric care. The WHIRLPOOL WGD92HEFW 7.4 cu. ft. Gas Dryer with Advanced Moisture Sensing was notable for its moisture sensing capabilities.